Better understanding the complex chemical physics behind simple reactions demands a collaborative approach, according to distinguished chemist Dr. Carl Lineberger. His talk at Pacific Northwest National Laboratory was the inaugural speech in the Frontiers in Chemical Physics & Analysis Seminar Series. "The series brings high-profile speakers to PNNL to help us stay up to date on leading-edge chemical physics and analysis research," said Dr. Bruce Garrett, who serves as director of PNNL's Chemical & Materials Sciences Division. "Also, the series helps us inform others about our recent advances." In chemical physics, two types of collaboration are key, noted Lineberger. First, experimental and theoretical scientists need to collaborate. "The close interplay between theory and experiment is crucial," said Lineberger. "The impact and insight that comes from this close interplay is a key to our quest to understand systems of ever greater complexity." Second, he sees a strong argument for interdisciplinary expertise on research teams. This expertise—which must be determined by the needs of the task at hand—is necessary to fully understand the vast quantities and diversity of data being produced today. 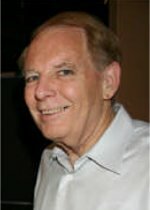 Lineberger is noted for his work at the University of Colorado at Boulder, where he is the EU Condon Distinguished Professor in the Chemistry and Biochemistry Department. In addition, he is a Fellow at the JILA Institute, a frequent lecturer around the world, and a prolific author and editor. The seminar was held January 9, 2009, at PNNL.